Being relatively young (in the grand scheme of things) I was pretty upset when I began to see spots on my hands. Genetics perhaps? This is my first endeavor into dark spot reducers and I did a bit of homework prior to agreeing to review this product. Most dark spot reducers contain Hydroquinone, which is a known carcinogen; Key West Health & Beauty Dark Spot Corrector does not! It is 98% natural and 72% organic and when you read the ingredients, you actually know what they are. After using Key West Health & Beauty Dark Spot Corrector for a week, I could see a noticeable difference in the texture and tone of my skin. The dark spots have begun to fade enough for me to feel comfortable and I expect that with more time my hands will look even better. Key West Health & Beauty Dark Spot Corrector is also good for acne scarring and general hyperpigmentation, plus it’s super hydrating! What it doesn’t contain are sulfates and parabens. 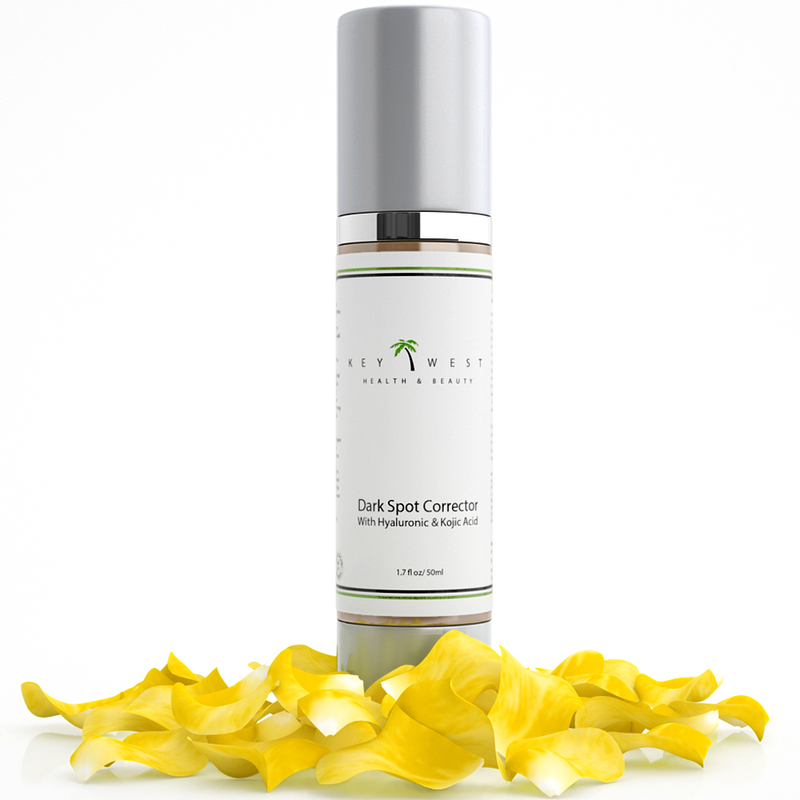 Key West Health & Beauty Dark Spot Corrector ($79.99, Currently on Sale For $33.00) absorbs quickly and has a light scent. 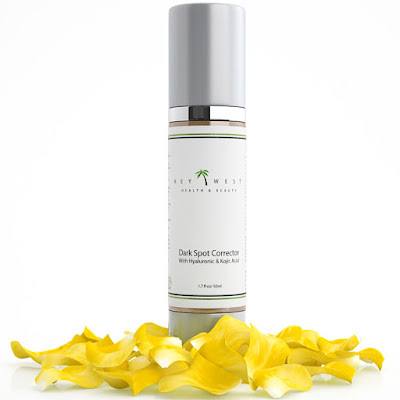 You can order your Key West Health & Beauty Dark Spot Corrector online at Key West or Amazon. Oh, and if you don’t like it, the company offers a 100% Money Back Guarantee!